When it comes to Thai desserts, the only sticky situation you want to be in involves sticky rice. 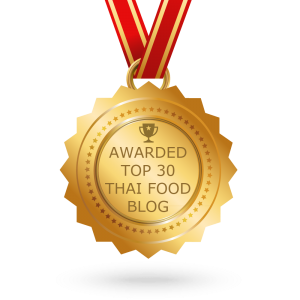 Instead of not knowing what the desserts are on the menu at your local Thai restaurant, educate yourself with this blog. We’ll discuss five of the tastiest Thai desserts out there. 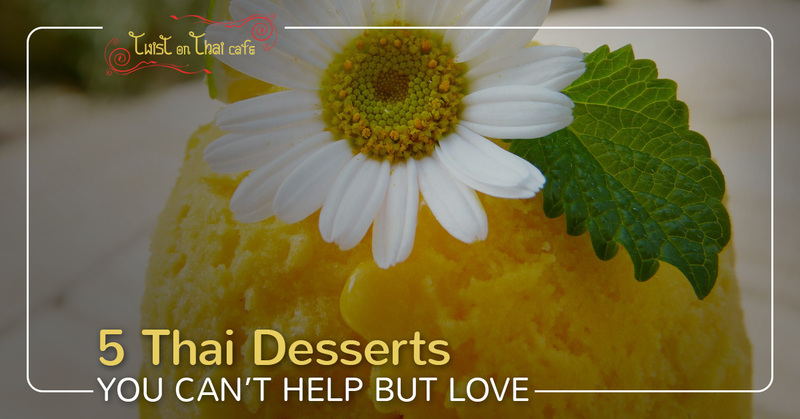 And, of course, when you’re looking for a place to eat in Hopatcong, Twist on Thai café is a great option; if you still have questions about our desserts when you’re here, our waiters are happy to help. This tasty treat seems to be a staple of Thai restaurants, and for good reason! The sticky rice used is known as khao neow, and it has a milky, opaque color. It’s generally steamed instead of boiled, which is what gives it that ever-so-indulgent texture when you bite into the dessert. Coconut milk makes it creamier and sweeter, and the mango brings in more of that sweetness with just a hint of a tart flavor. Bananas are good. Fried food is good. Why not combine the two and make a Thai masterpiece? Add in some vanilla or coconut ice cream and you have a dessert to be reckoned with. The crunchy, interesting texture of the fried bananas will be balanced out with the soft, velvety texture of the ice cream. Known as goreng pisang, this dessert is popular in Thai cuisine and throughout many Thai restaurants in the States. Want some melt-in-your-mouth coconut goodness? Look no further than coconut ice cream. It’s creamy, light, and has a characteristic texture that you’ll love. It’s great by itself or with other toppings or flavors like lime, mango, toasted coconut, and more. As far as Thai cuisine is concerned, you’re still a novice until you’ve at least tried this dessert, even if it is simple. This is a popular street food in Thailand, and its history goes back as far as 600 years. Khanom buang is essentially a crispy crepe made of rice flour, mung bean flour, sugar, and eggs. Coconut cream is placed on the crispy discs, and then they become vessels for all things good. The sweet options include shredded coconut and candied duck egg yolks, and the savory options involve shredded coconut, chopped spring onions, and shredded shrimp. You may have to search hard to find this one in the States, but you can always try making it at home as well. Twist on Thai café serves traditional Thai food with a modern twist that we’re sure you’ll love. Try us out whether you’re looking for a vegetarian-friendly restaurant, local place to eat, or you just have a craving for Thai desserts. Check out our menu and make a reservation, or just stop by tonight!